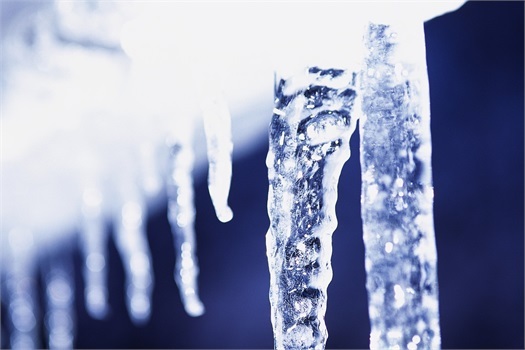 Surprisingly, ice forming in a pipe does not typically cause a break where the ice blockage occurs. It’s not the radial expansion of ice against the wall of the pipe that causes the break. Rather, following a complete ice blockage in a pipe, continued freezing and expansion inside the pipe causes water pressure to increase downstream -- between the ice blockage and a closed faucet at the end. 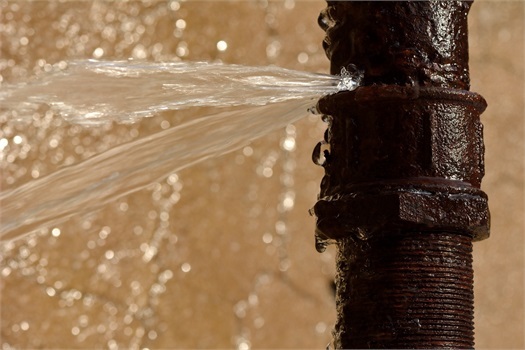 It’s this increase in water pressure that leads to pipe failure. Usually the pipe bursts where little or no ice has formed. Upstream from the ice blockage the water can always retreat back towards its source, so there is no pressure build-up to cause a break. Water has to freeze for ice blockages to occur. Pipes that are adequately protected along their entire length by placement within the building’s insulation, insulation on the pipe itself, or heating, are safe. 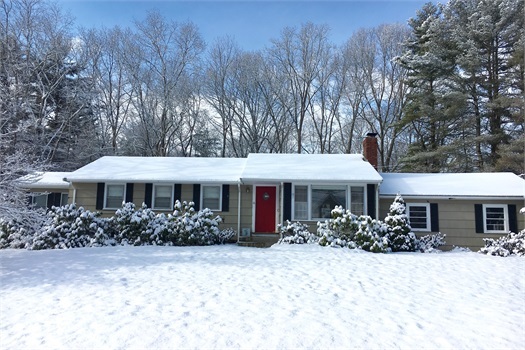 Pipes in attics, crawl spaces and outside walls are all vulnerable to freezing, especially if there are cracks or openings that allow cold, outside air to flow across the pipes. Research at the University of Illinois has shown that “wind chill,” the cooling effect of air and wind that causes the human body to lose heat, can play a major role in accelerating ice blockage, and thus bursting, in water pipes. When should homeowners be alert to the danger of freezing pipes? That depends, but in southern states and other areas where freezing weather is the exception rather than the rule (and where houses often do not provide adequate built-in protection), the “temperature alert threshold” is 20 degrees F.
This finding was supported by a survey of 71 plumbers practicing in southern states, in which the consensus was that burst-pipe problems began to appear when temperatures fell into the teens. However, freezing incidents can occur when the temperature remains above 20 degrees F. Pipes exposed to cold air (especially flowing air, as on a windy day) because of cracks in an outside wall or lack of insulation are vulnerable to freezing at temperatures above the threshold. However, the 20 degrees F “temperature alert threshold” should address the majority of potential burst-pipe incidents in southern states. Water pipes in houses in southern climates often are more vulnerable to winter cold spells. In existing houses, a plumber may be able to re route at-risk pipes to protected areas, although this may not be a practical solution. If the latter is the case, vulnerable pipes that are accessible should be fitted with insulation sleeves or wrapping (which slows the heat transfer), the more insulation the better. It is important not to leave gaps that expose the pipe to cold air. Hardware stores and home centers carry the necessary materials, usually in foam rubber or fiberglass sleeves. Better yet, plumbing supply stores and insulation dealers carry pipe sleeves that feature extra-thick insulation, as much as 1 or 2 inches thick. The added protection is worth the extra cost. Cracks and holes in outside walls and foundations near water pipes should be sealed with caulking to keep cold wind away from the pipes. Kitchen and bathroom cabinets can keep warm inside air from reaching pipes under sinks and in adjacent outside walls. It’s a good idea to keep cabinet doors open during cold spells to let the warm air circulate around the pipes. Electric heating tapes and cables are available to run along pipes to keep the water from freezing. These must be used with extreme caution; follow the manufacturer’s instructions carefully to avoid the risk of fire, and check to make sure the product conforms to UL 2049. Tapes and cables with a built-in thermostat will turn heat on when needed. Tapes without a thermostat have to be plugged in each time heat is needed, and may be forgotten. Letting a faucet drip during extreme cold weather can prevent a pipe from bursting. It’s not that a small flow of water prevents freezing; this helps, but water can freeze even with a slow flow. If you open a faucet and no water comes out, don’t take any chances. Call a plumber. 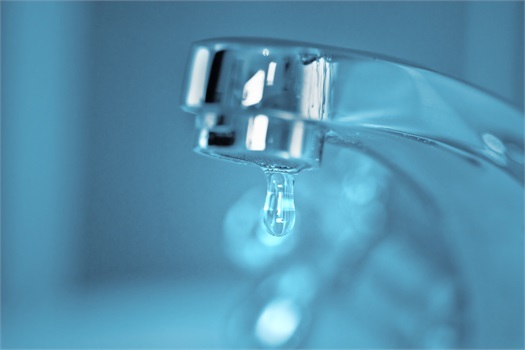 If a water pipe bursts, turn off the water at the main shut-off valve (usually at the water meter or where the main line enters the house); leave the faucet(s) open until repairs are completed. Don’t try to thaw a frozen pipe with an open flame; as this will damage the pipe and may even start a building fire. You might be able to thaw a pipe with a hand-held hair dryer. Slowly apply heat, starting close to the faucet end of the pipe, with the faucet open. Work toward the coldest section. Don’t use electrical appliances while standing in water; you could get electrocuted. To drain the system, shut off the main valve and turn on every water fixture (both hot and cold lines) until water stops running. It’s not necessary to leave the fixtures open, since the system is filled mostly with air at that point and not subject to freezing. When returning to the house, turn on the main valve and let each fixture run until the pipes are full again. The amount of all frozen pipe failures that occur in a basement. A frozen pipe can lead to pipes bursting, and result in more than $5,000 in water damage. Pipe insulation can cost as little as .50 per linear foot, which can help prevent your pipes from freezing. Check your local hardware store. Freezing point for water. It's important to keep your home above this temperature.